Fuel Taxes: Tax On the “Poor” or Investing in Our Lower Socio-Economic Groups on Equity Grounds? The question is not Auckland’s “poor” be stung by the fuel taxes, it is the poor being stung by sitting in worsening traffic (burning more fuel) by inaction and thumb twiddling as National would like us to do and have done since the 60’s. There was a thread going (in circles) in Twitter yesterday on how the fuel taxes proposed would hurt those on benefits or low incomes. This kind of banter is also being played up by National – who had no qualms in giving use 15c/l more fuel taxes to pay for their Roads of National Significance while NZTA was starved of $800m that could have been used for basic road safety upgrades and reduce last year’s road death toll by at least one-third. The thread on fuel taxes hurting the poor (let’s find a better term please Wellington) was stuck at that those in South Auckland have furthermost to commute to work often in areas not linked up by transit. Consequently they would be expending more of their limited income on fuel than those in central Auckland who are closer to their employment centres and have a better transit system to choose from in the first place. This makes fuel taxes technically regressive like GST is – that is lower socio-economic groups spend more of their income on a flat tax. This is nominally true with fuel taxes but unlike GST fuel taxes can be escaped (and why I use the word nominally). What was also missing from the thread last night was commuting patterns in Auckland. South Auckland’s commuting patterns differ from the Isthmus, West and North. So let’s go unpacking things a bit with the fuel taxes. Basically do we take the short-term pain for the longer term gain or do we do nothing and let things get really bad. To do the above needs money, money the fuel taxes would provide to build and run. Now the good news is that the RTN spine I mentioned above is about to be delivered – see: Regional Rapid Rail and The Southern Airport Line a (virtual) GO!. 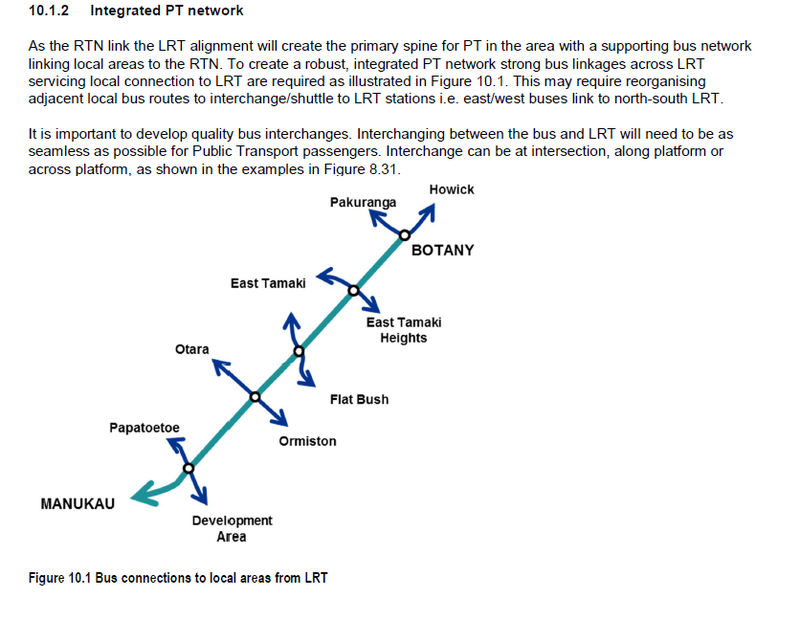 The Southern Airport Line (Botany to Airport via Manukau and Puhinui Rapid Transit) links the Airport, Puhinui, Manukau, Otara, East Tamaki and Botany up to the Rapid Transit Network that is currently not there. All those places I just named have employment centres and those centres draw in workers from the South. Today someone mentioned that it took them one hour to go from Drury to Manurewa on the Southern Motorway and they worked at the Airport. Weather aside this is nothing unusual however, the Southern Airport Line once operation would mean this worker would be able to do Papakura to the Airport in 35 minutes (add another 10 minutes to come up from Drury) meaning they would have gotten to the Airport for work very quickly to what the motorway otherwise provided. Building of transit aside there is another dynamic that muddles the fuel tax taxes the poor debate – the length of the commute. I am going to go on a limb that the likes of Newman, Collins and my economist friend in Wellington (who started the thread) think the average Papakura resident commutes all the way into the City Centre. That is somewhat correct however, those that do will catch the train or the 360X express bus. The assumption though is also incorrect as well according to a 2013 Ministry of Transport report on commuter patterns. That report (see: Auckland’s Commuting Journeys – A Series. #Concluding Remarks) illustrated that 50% of Southern Auckland commuters commute within the Southern Auckland sub-region – a higher percentage that other areas of Auckland except for those in close proximity to Albany Metropolitan Centre. This means the South is commuting to either one of our four big heavy industrial complexes (Wiri, Airport, East Tamaki or Drury South) or Manukau City Centre itself. Now while I am waiting on Census 2018 data to see how these commute patterns have altered the basic premise of that the South is not commuting particularly far but is stuck in some of the worst congestion will continue to hold up. Thus we go back to getting our east-west Rapid Transit Network spine (the Southern Airport Line) built and get the feeders better serviced to widen the accessibility of the network. 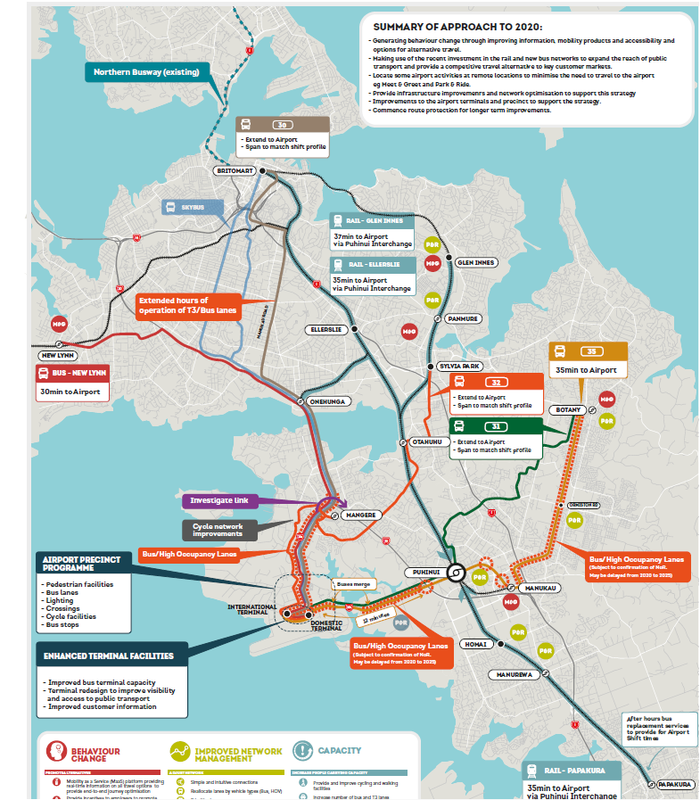 The above graphic from Auckland Transport and NZTA shows how the Southern Airport Line would become the back bone of an integrated network across Manukau and the South East widening the catchment of the network. Effectively what we have is people being given a choice now that the employment centres and residential areas are properly linked up! To do this? Again money both in CAPEX (debt) to build it and OPEX to run it. This is where the fuel taxes come in, it is also where Value Capture Taxes on property in close proximity to the RTN would be of benefit as well. Simply put we need to raise taxes to pay for investment and services – it is how a functioning society works and it is also the social contract we have with the State. 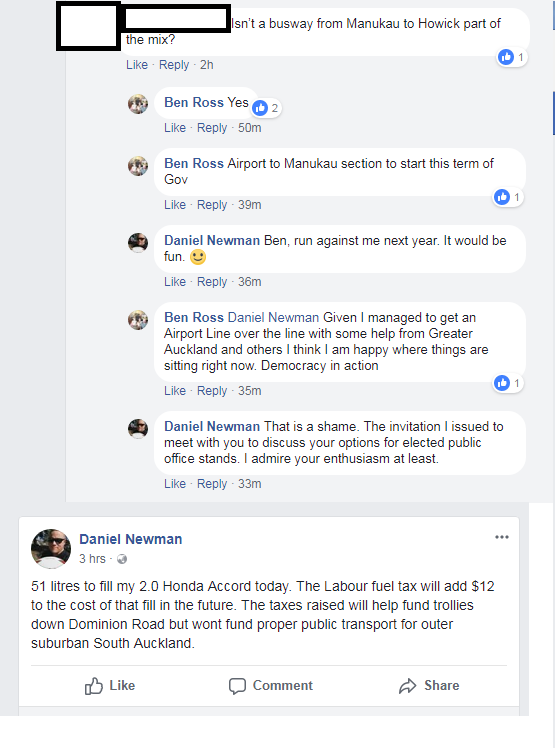 Yes fuel taxes would be regressive on those living in South Auckland – I live in Papakura but the price of doing absolutely nothing and not investing in a working transit system is even worse than the nominal fuel tax itself. We also remember South Auckland primarily commutes within itself so it is not about the kilometres but more about the time and the transit investment needs to reflect this. And finally I know the regressive argument could be delved deeper but I’ll leave that to Treasury to explain. The question is not Auckland’s “poor” be stung by the fuel taxes, it is the poor being stung by sitting in worsening traffic (burning more fuel) by inaction and thumb twiddling as National would like us to do and have done since the 60’s. Fuel Taxes – investing in those for equity sakes!